This isn’t a question anymore, it’s a must. This world is built on healthy plants and soil. Our lives are connected with the earth and the food that we eat. The old adage, “You are what you eat.” is true. All life absorbs the nutrients of that which it eats and with it, it’s life source – memory. So when people consume processed foods, chemical sprayed foods, etc., we are literally killing off our own microbiology and dying. There is no life in those foods. It’s contaminated. So what is Regenerative Farming? “This technique is how we used to plant our crops for centuries — in a way that mimics nature to minimize our impact on the land. Regenerative agriculture uses a minimum amount of tilling to preserve natural soil aggregation. It also naturally preserves soil fertility by using a technique called crop rotation. Instead of planting the same crops in the same fields season after season, farmers use alternating crops to restore nutrients, or even leave fields fallow for a season after sowing with compost, manure or other natural fertilizers to allow the soil to regain some of its natural nutrients. The goal of regenerative agriculture is to be part of the land, rather than viewing it as yet another resource we use and discard. When I first found out about how much our food is poisoned, it made me really upset to see just how corporate entities have pulled a wool over our eyes to think their food is OK to consume and in fact you should when the complete opposite is the truth. And if you speak up against this scourge against humanity, you are looked at as a ‘conspiracy theorist’ or odd. Why is that? It shouldn’t be like that. Why aren’t we questioning where our food comes from? Why are these chemicals being sprayed on and put in our food? Why aren’t we coming together as a society and banning these corrupt foods and corporations? What are these chemicals truly doing to our environment? It is concerning more people do not question and instead just accept. The current farming and agricultural practices utilize harmful pesticides and fertilizers on crops to produce food. Why are these chemicals harmful and can’t they just be washed off? The roots of a plant absorb water and nutrients and then we consume the plant, or if you eat meat – the cow consumes the contaminated plant, absorbing it and then you consume the cow which has just become contaminated. Toxins in animals, including humans, is stored in the fatty tissue of the body. Well guess what people eat when they eat animals? It’s a deadly cycle that needs to end. It’s not just consuming the food that’s bad for us. These practices have more harmful consequences for our environment as well. These chemicals that are being used in farming today, in fact, deteriorate the quality of the soil and therefore produce vegetables that are deficient in the necessary nutrients and minerals that humans need as well as other animals that feed off of plant life. This impacts the entire cycle of life, our entire ecosystem. We can start by beginning methods to stimulate our soil biology. By stimulating the soil biology, we can grow cover crops to build soil structure. We can also use innovative methods of pest control that our ancestors used such as essential oils and companion planting methods. This isn’t rocket science, yet these big corporations will lead you to believe it is till they bleed our farmers dry. It is tragic what has become of our farmland today. What does it mean to stimulate soil biology? “Soil is full of life. It is often said that a handful of soil has more living organisms than there are people on planet Earth. Soils are the stomach of the earth, consuming, digesting, and cycling nutrients and organisms. The soil is so much more. The earth has a negative ion effect on life. (Negative is actually a good thing. It’s the positive ions we don’t want – despite the name) For more information on negative ions vs. positive, this article HERE is a must read! You might have heard of the term ‘earthing’. Earthing is simply standing barefoot on the soil or ground and absorbing the negative ions produced by the earth’s frequencies and life force. It is literally absorbing the energy the earth is putting forth and it has shown to have a tremendous positive effect on human health. You see everything in nature is energy and mass. Everything in nature, including the rocks, are alive and putting forth energy so you can how the soil biology is important to all life. For more information on What is Earthing or Grounding, Dr. Stephen Sinatra has written a really good article on this. Let’s dive a little bit deeper into the soil and why regenerative farming practices are needed. Other scientists study soil diseases of plants and animals found in the soil. Bacteria and fungi can cause plants to wilt or rot. The Great Potato Famine in Ireland in 1845 was caused by a fungus that caused the potato blight! These organisms don’t just impact plants. Humans can get sick if certain types of bacteria, like E-Coli, are present in our waste, and that waste isn’t treated properly. 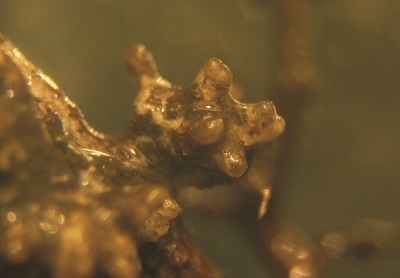 Some fungi “infect” plant roots, but the relationship is symbiotic, meaning that it is beneficial to both the plant and the root. These are called mycorrhiza, and they help plants absorb more water and nutrients, increase drought resistance, and reduce infection by diseases. So you can see that the dirt, the soil, has a significant impact on mankind. You should also be able to see how we really don’t need all of these chemicals – pesticides and fertilizers to effectively grow food. Nature is God’s beautiful creation. Through nature, God is able to teach us, speak to us, and provide for us. For this reason, we can find in scripture that we humans are called to protect all of which He has created. We were put over the earth to do so. There is a movement of farmers starting though. God bless these people. Farmer’s Footprint is both a documentary series and a grassroots movement that seeks to forge a relationship with consumers in what is called regenerative agriculture. PLEASE support these folks. They need it.